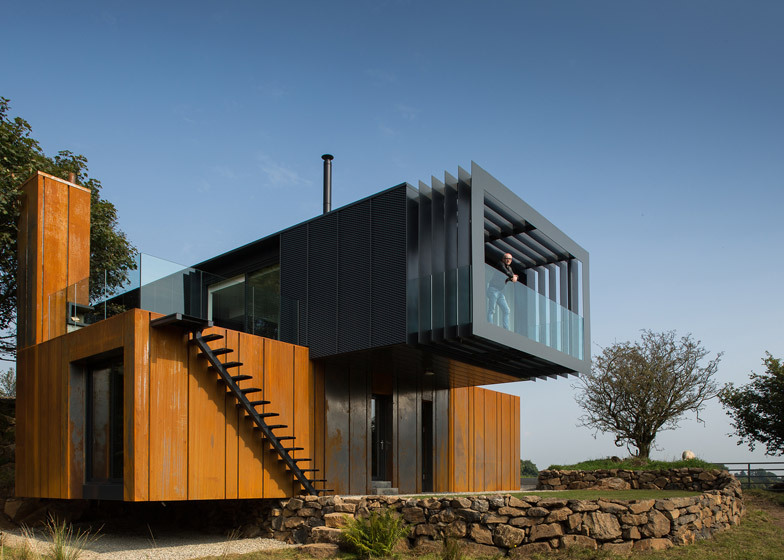 Architects have been especially smitten with shipping containers, treating them like oversized Legos to create some truly breathtaking structures that nonetheless look like they might collapse in a moderate windstorm. 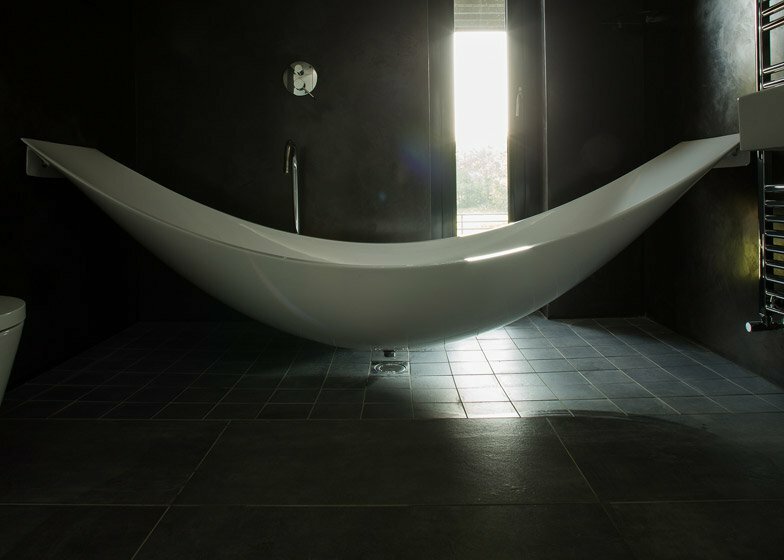 They do make great houses though; not only are they fire-proof, termite-proof, and mold-proof, they can be assembled in days instead of months, and produce little to no construction waste. The shipping container boom should only get stronger, at least until people realize they’re just windowless trailers. 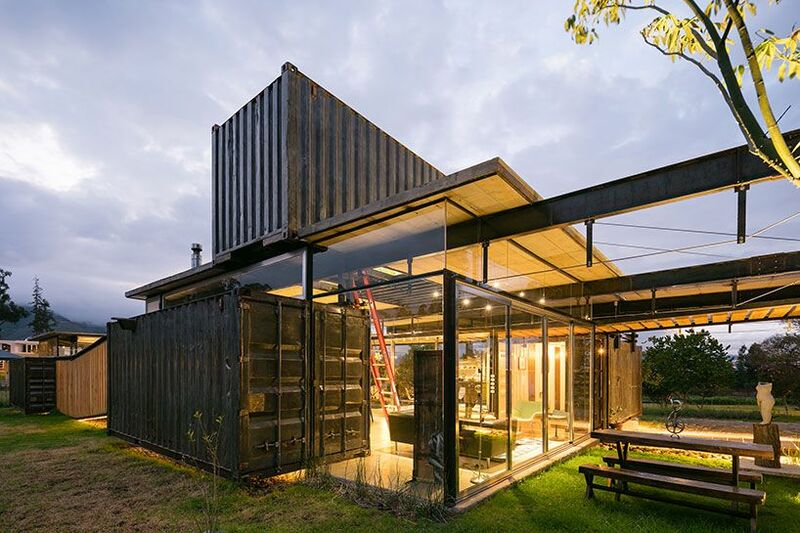 In the meantime, let’s look at some of the most daring shipping container buildings from around the world. 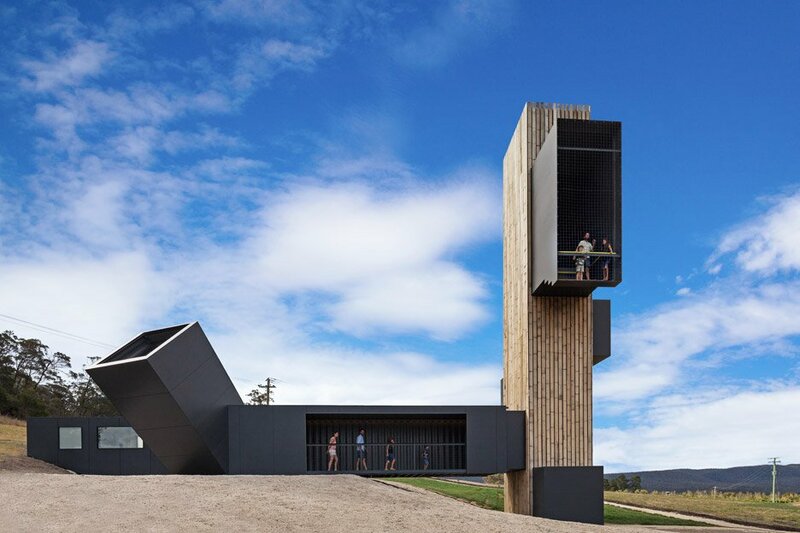 This intriguing “lookout tower” by Cumulus Studio is located at a vineyard in Tasmania; that timber-clad tower is made of several shipping containers stacked vertically. Views from the top would be breathtaking, if there was anything to look at, which there isn’t, because Tasmania is a barren barely-civilized island that’s like the Iowa of Australia and Co. The building is used for wine tastings, and has been dubbed “Devil’s Corner,” which sounds like something Guy Fieri would ask you to do in bed. 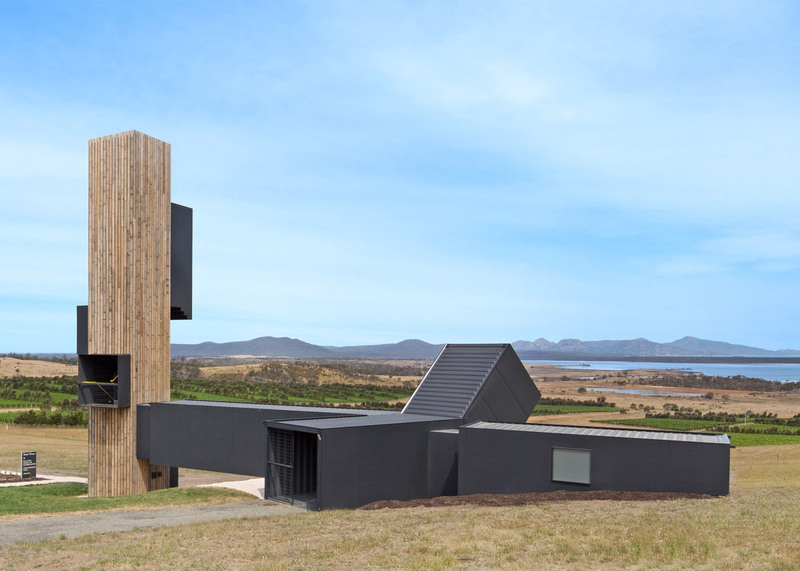 The designers said that the wood siding was meant to help the structure blend into its rural surroundings, which is actually quite thoughtful; though I like the harsh industrial look of unaltered shipping containers, they might have looked a bit too abrasive against a backdrop of the Tasmania outback. 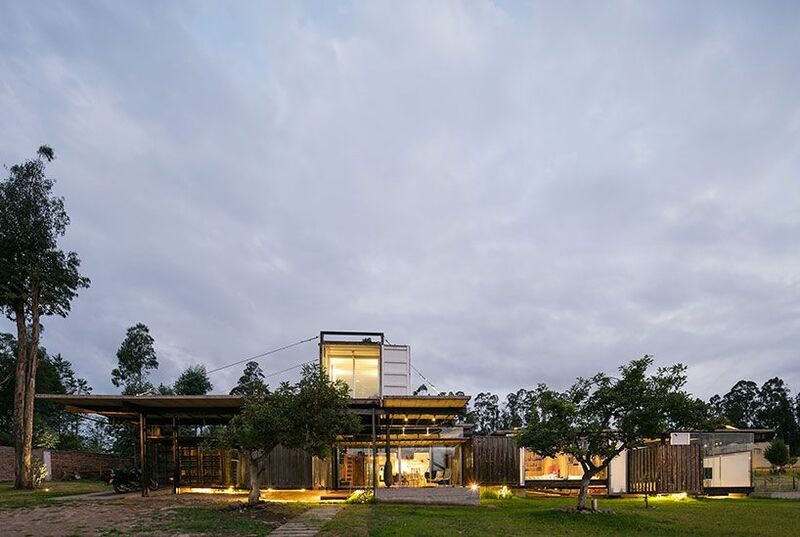 This truly stunning home outside Tijuana, Mexico is made of eight shipping containers, and designed by architect Daniel Moreno Flores. 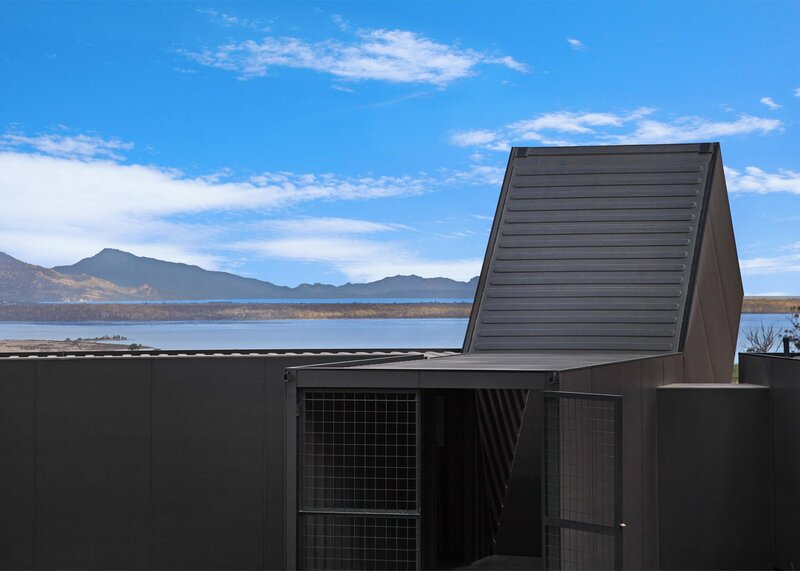 Flores has kept the industrial aesthetic of the original shipping containers intact, with unfinished steel walls, concrete floors, and corrugated metal siding; the finished product is rugged yet sophisticated, like the perfect man you keep waiting for but (spoiler alert) will never meet. (That was mean. I apologize.) 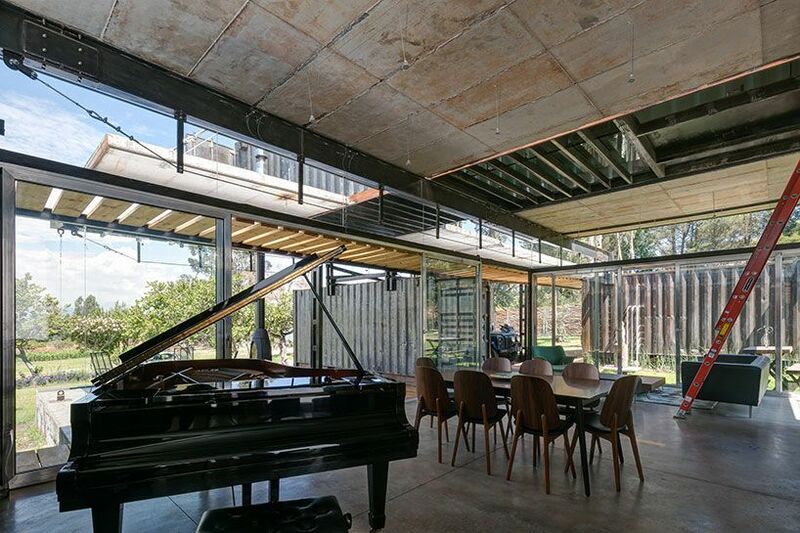 Highlights include the awesome glass-walled sunroom, and a sunken bathtub in the master bath. Also, location-wise it’s just outside the Baja equivalent to Las Vegas, so you can always zip over real quick to pick up some Chinese-made assault rifles and dirt cheap blood pressure meds. 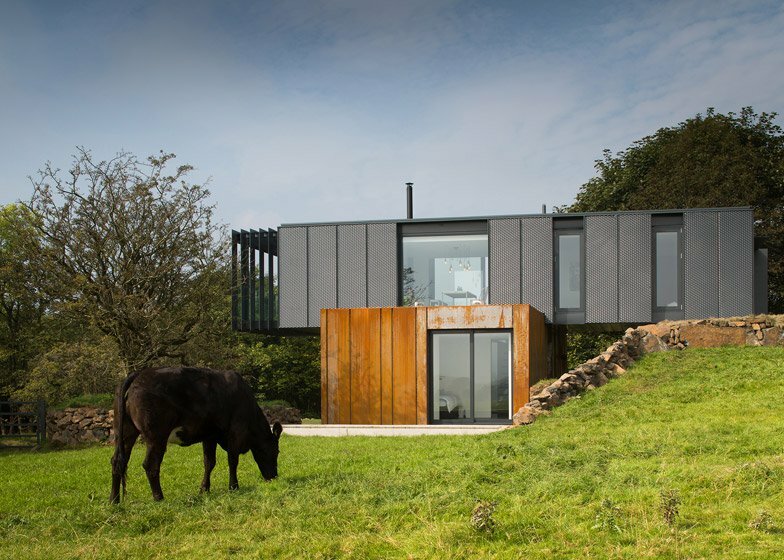 One of the many things I like about this house is the backstory; the Irish farmer who lives here openly admits that he’d planned a much larger, conventionally-constructed house, but when the estimate came in, he was like, “holy crap, I can’t afford that, I guess I’ll just build a house out of shipping containers instead.” If necessity is the mother of invention, poverty is invention’s cool uncle who got invention and invention’s friends magic mushrooms the summer between 8th and 9th grade. 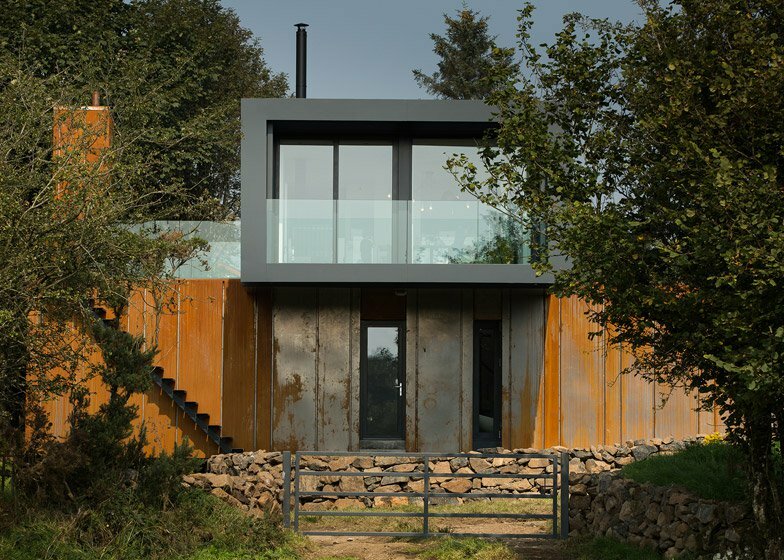 While the above homes are all very impressive, this project really shows the potential of building with shipping containers. Constructed in just eight days (! 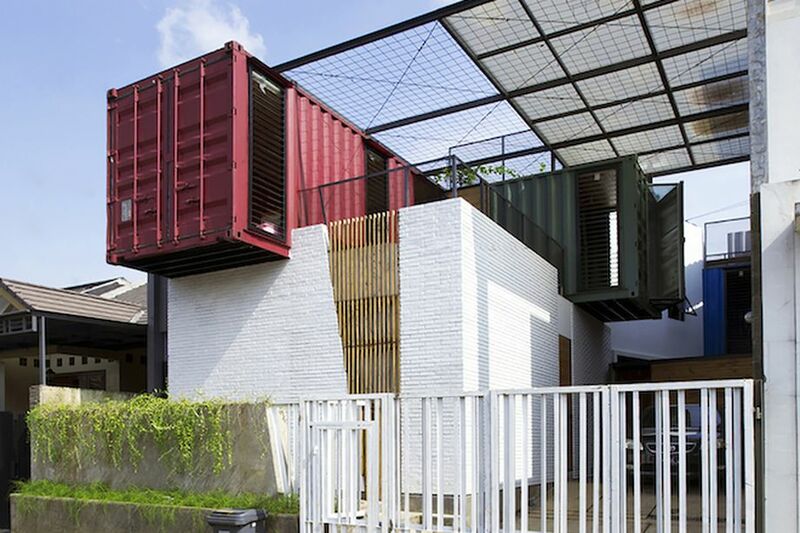 ), this London office building is made of 73 containers, which yield 24 offices. 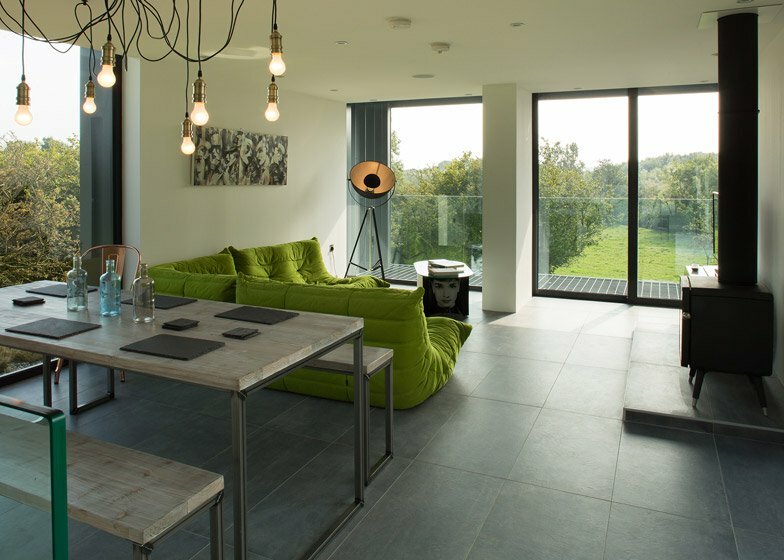 (There’s a similar apartment complex in Amsterdam.) Built by European design studio Container City, the five-story building features natural ventilation, rainwater harvesting, and external walkways and balconies. Just imagine the possibilities of an office building that can be put together in a week, and probably taken apart in half that. The potential for pranks alone is staggering; next time the boss goes on vacation, you just rent a crane and move the entire building. Then if he fires you, you can use the crane to throw the building in the river, piece by piece. Prank war! !